Medicaid is and will be for many years to come a critical issue for Mississippi and its government. There will be considerable discussion about Medicaid managed care during the current Mississippi Legislative Session. 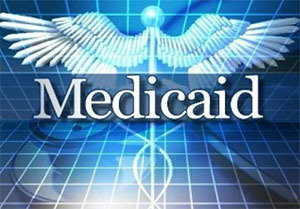 Medicaid managed care has been in the news since last summer when the Mississippi Division of Medicaid re-competed and awarded new Medicaid managed care contracts to two existing vendors, Magnolia Health and United Healthcare Community Plan and a new vendor, Molina Healthcare. Seven vendors vied for three slots in the open competition. Two of the loosing vendors, Amerigroup and Mississippi True (a provider sponsored plan backed by over 60 hospitals and the Mississippi Hospital Association) filed protests and then lawsuits for rebid of the contracts. Amerigroup subsequently withdrew its protest and lawsuit. Mississippi True is still pursuing theirs. Why all the fuss, and what is Medicaid managed care and how does it work? Remember from Part I, the Medicaid program is health insurance intended for those of limited means based on the federal poverty level. As such, when applicants qualify for Medicaid and become Medicaid beneficiaries, their healthcare expenses are covered by Medicaid. In other words, Medicaid is their health insurer and pays the expenses of their healthcare visits. There are two ways for this to happen. One way is fee-for-service (FFS) Medicaid and the other is Medicaid managed care. In FFS Medicaid, the healthcare visit is billed by the provider through a billing service known as the fiscal agent. The fiscal agent receives the bill for the service and the provider is reimbursed for the services rendered. In Medicaid managed care, the Medicaid beneficiary chooses a managed care plan and then the plan takes on the responsibility of reimbursing the provider for the healthcare services rendered. On the surface that doesn’t sound much different, but when you delve into the matter further there are differences for the Medicaid beneficiary as well as the Medicaid program. In Medicaid managed care, the beneficiaries enrolling in the program are divided into groups based on age, health status and health risk. These categories are then assigned “risk scores” based on how costly it is to satisfy the particular beneficiaries’ healthcare needs. For example, the healthcare needs of children are not as great as those with breast or cervical cancer (which by the way is a category of eligibility for Medicaid). Therefore, the risk score for the children’s category is much less than the risk score for beneficiaries with breast or cervical cancer. Risk scores are the bases for how the managed care companies are reimbursed by Medicaid for the healthcare needs of the Medicaid beneficiaries enrolled in their programs. Children have lower risk scores and therefore, lower cost profiles, which means their expenses for healthcare are much less than someone with cancer. An uncomplicated pregnancy has a different cost profile than a disabled child living at home or the cost profile of a disabled adult and so on. Each risk category has a different cost profile set by Medicaid with input from actuarial firms with expertise in the area. For the Mississippi Division of Medicaid that actuarial firm is Milliman. Medicaid sets the cost of care for each risk category and pays the managed care companies this cost per beneficiary on a monthly basis. For a child, the cost of care per month, known as the per member per month rate (PMPM), might be $215. The monthly cost for a beneficiary with breast or cervical cancer might be closer to $4,500. The risk scores, and therefore, the PMPM for each category are reset every year based on the actual cost of care occurring in the previous year. The above information is necessary in understanding a key element of Medicaid managed care. When Medicaid pays the managed care companies the PMPM for the care of the beneficiary, that is all they pay. The managed care companies have the responsibility to provide access for, and payment of the healthcare needs of that beneficiary within the amount they have received. If the cost of care goes above the monthly rate, the managed care companies are responsible for the extra cost. Likewise, if the cost is less, the savings are available to provide care for more expensive beneficiaries. This incentivizes the managed care companies to guide the beneficiary to the most appropriate location to receive their healthcare (think of clinics not emergency rooms) to ensure the beneficiary is receiving preventive care, and to ensure that whatever medication may be prescribed is being taken as directed. The healthier the beneficiary, the lower the cost of care and the lower the cost of the Medicaid program. Another key element of Medicaid managed care that results from the above is cost predictability. In the FFS Medicaid environment there are several cost-driving variables in play, including the number of beneficiaries enrolled in the program, and the number of times they seek access to healthcare resources. In the Medicaid managed care environment, the key variable is the number of beneficiaries enrolled in the program. Medicaid knows exactly what it is going to pay the managed care companies to provide for the healthcare needs of the beneficiaries. So, an important unknown cost driver is the number of individuals participating in the Medicaid program. Cost predictability is a distinct factor when asking the Legislature for funding for the program. Resources are always limited, so narrowing that window of uncertainty is significant.